Investing.com – The pound slumped to its lowest level since early September on Monday after amid mounting worries over Brexit after Britain’s international trade secretary warned that a no-deal Brexit was now more likely than not. hit a low of 1.2956, its weakest level since September 4 was down 0.31% to 1.2962 by 05:24 AM ET (09:24 GMT). The drop in the pound came after Liam Fox said in an interview published in the Sunday Times newspaper that there was a 60:40 chance that the UK would leave the European Union without an agreement. He accused the European Commission of “intransigence.” putting EU rules above economic well-being. The remarks came after Bank of England Governor Mark Carney warned Friday that there is an risk of Britain exiting the EU with no deal. The pound was also weaker against the euro, with rising 0.24% to 0.8918. In the euro area, data on Monday showed that slumped by 4% in June, the biggest fall in almost 18 months amid weaker overseas demand. The unexpectedly weak data added to fears over the economic impact of rising trade tensions. The euro was trading near four-and-a-half week lows against the dollar, with edging down to 1.1561. The single currency has been pressured lower by the diverging monetary policy outlook between the Federal Reserve and the European Central Bank, which has pledged to keep interest rates on hold through the summer of 2019. The dollar remained supported against a currency basket after the latest U.S. jobs report underlined expectations for the Fed to stick to a gradual pace of rate hikes this year. 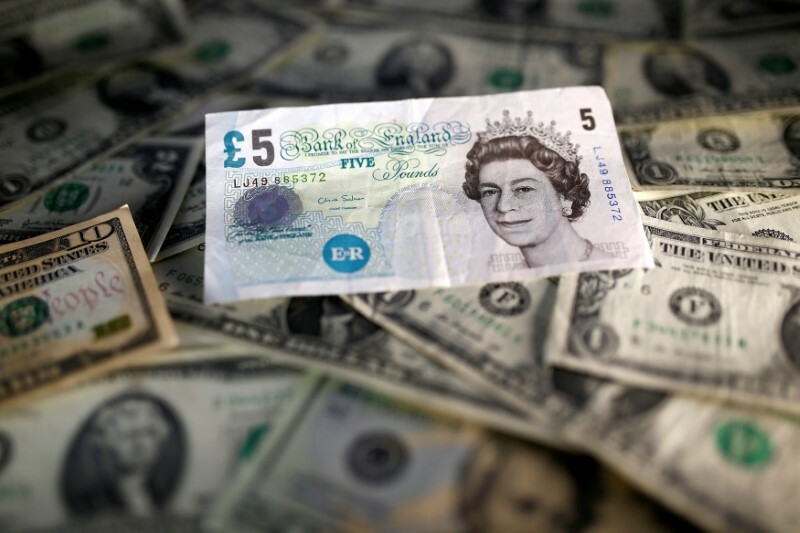 The , which measures the greenback’s strength against a basket of six major currencies, edged up 0.1% to 95.13, re-approaching the one-year peak of 95.44 hit on July 19. U.S. job growth slowed more than expected in July, the Labor Department reported Friday, but labor market conditions continued to tighten, supporting expectations for from the Fed this year. The U.S. central bank kept interest rates on hold last week, but said the U.S. economy was strong, indicating that it is on track to deliver expected rate hikes in September and December.